Edinburgh is the capital and the second largest city in Scotland. It attracts thousands of visitors each year as there is so much to see and do. Exploring the Old Town feels like you're taking a step back in time due to the stunning architecture, narrow lanes, and cobbled streets. Therefore, it's no surprise that the Old Town and New Town combined have been a UNESCO World Heritage Site since 1995. 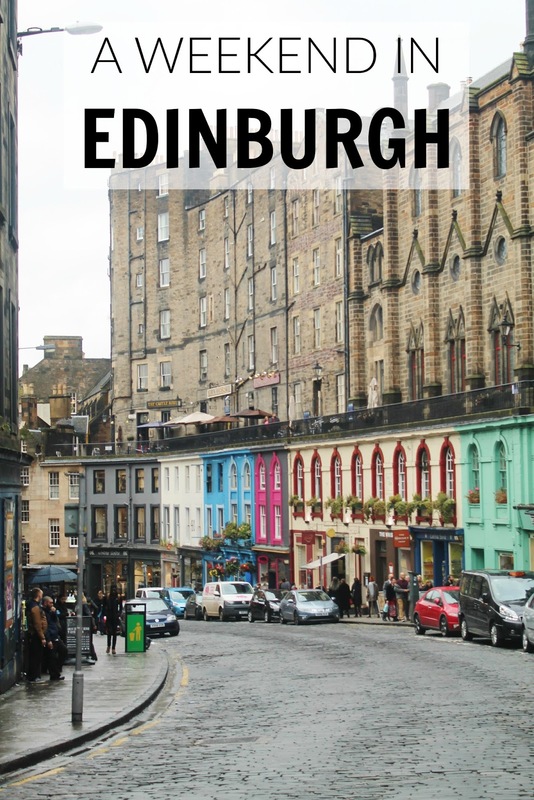 Edinburgh is fairly compact and so it's easy to explore the city on foot. 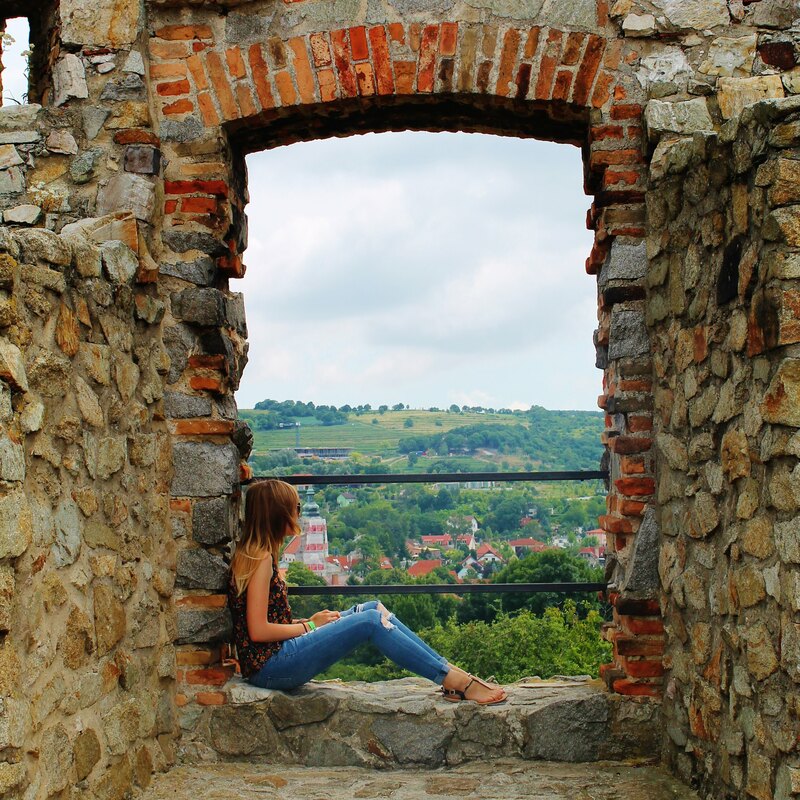 Although it's a town full of steep hills and beautiful green gardens so bring comfortable shoes! If you're interested in travelling further afield to the surrounding areas, there are plenty of tour companies offering trips to explore the Scottish Highlands. Edinburgh has one main airport (EDI) for domestic and international flights. It's approximately 13km away from the city centre and it takes 30 minutes to get from the airport to Waverley Bridge using the Airlink 100 express bus service. The service runs every 10 minutes, and only costs £7.50 for a return ticket, making it the easiest way to travel from the airport. If you don't fancy flying, Edinburgh also has brilliant train connections with cities such as London, Liverpool and Manchester. From London Kings Cross station the journey takes 4-5 hours with Virgin Trains. We stayed in the lovely Bonnie's Guesthouse which was a 20 minute walk from the city centre. The owner Mirella was so kind and helpful, and we couldn't have asked for anything more. Our room was quaint and homely, and the beds were so comfortable. Breakfast is included, and guests are asked to pick what they would like the evening before. There's a huge selection, including a full cooked Scottish breakfast which was incredible. Approximately 10 minutes away from the guesthouse is a cinema complex which has an array of different restaurants. You'll walk past it as you arrive from the city centre, which makes it a great place to stop off and grab some dinner. 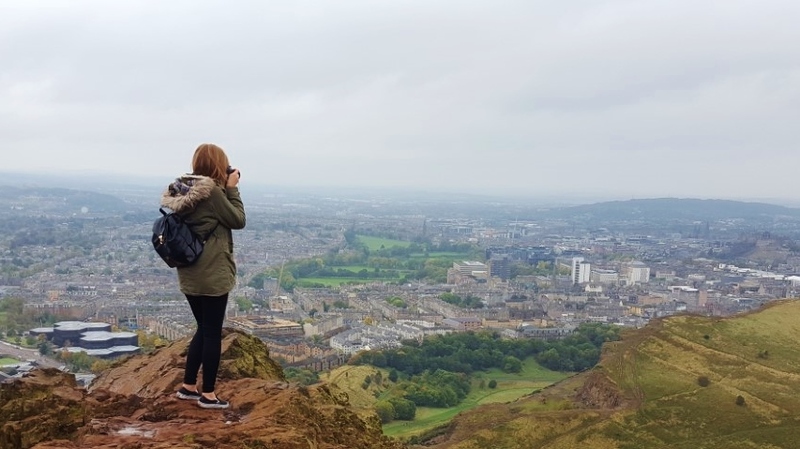 Day 1: If you're not planning on making a trip to the Scottish Highlands, two days is a good amount of time for exploring the main attractions Edinburgh has to offer. Towering over the city, Edinburgh Castle is a good place to start your first morning in the Scottish capital. Leave yourself a few hours to explore here, but make sure you book your ticket online in advance to save yourself time waiting in the queues. For the afternoon, go and wander through the cobbled streets. Of course, you can't miss The Royal Mile, the main high street leading up to the castle, but this isn't the only street worth snapping a few photographs of. Check out Victoria Street and Cockburn Street for some beautiful architecture. Along The Royal Mile, St. Giles Cathedral is a beautiful church that you should take a peak at inside. Its steeple is a well-known landmark of Edinburgh's skyline. Day 2: Start the second day by walking up to Calton Hill. At the top you'll find several famous landmarks, including the Dugald Stewart Monument, The Nelson Monument and the National Monument of Scotland, which is a memorial to Scottish soldiers. You can get some amazing views of the city here with the castle in the distance! Walk back down the hill towards the Palace of Holyrood House. Here visitors have the option of joining a tour through some of the rooms. We opted not to go inside as the building is still impressive from the outside! We then decided to grab some lunch before making the climb to the top of Arthur's Seat. Arthur's Seat is one of the main hills in Holyrood Park, and is actually part of an extinct volcano system. It took us roughly an hour and a half to walk up and down it, with a break at the top for photographs and water. If by this point you still have time left in the day, why not visit one of the Scottish museums? We opted to visit the National Museum of Scotland, but there is also the Scottish National Gallery in the centre of Princes Street Gardens. Staying in Edinburgh for longer? If you're staying in Edinburgh for longer than a weekend, then there are a whole host of other things to do and see! There's Edinburgh Zoo that's home to the Giant Panda Exhibit, as well as the Scotch Whisky Experience and the Camera Obscura & World Of Illusions. I know that the next time I visit Scotland, I'll also definitely be taking a trip to the Scottish Highlands!